I’ve been slacking in updating my food diary BUT I’m still diligently introducing low allergenic food to 小小宝贝 every 3 days. I’ll try to update it as often as I can. Today is white cabbage day! 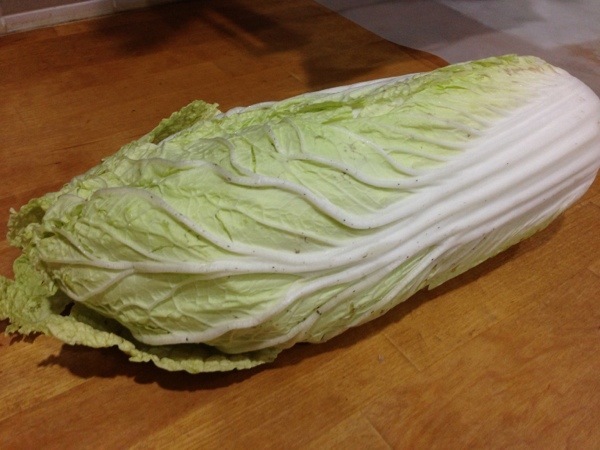 I love to eat white cabbage! You just need to lightly stir fry it to bring the sweetness out of it. It’s vastly versatile and can be paired off with most food. Best of all, it’s one of the low allergenic foods. Not only that, cabbage is a good source of beta-carotene, vitamin C and fiber. Wash the leaves thoroughly. Cut them up into strips and steam them for 10 minutes. 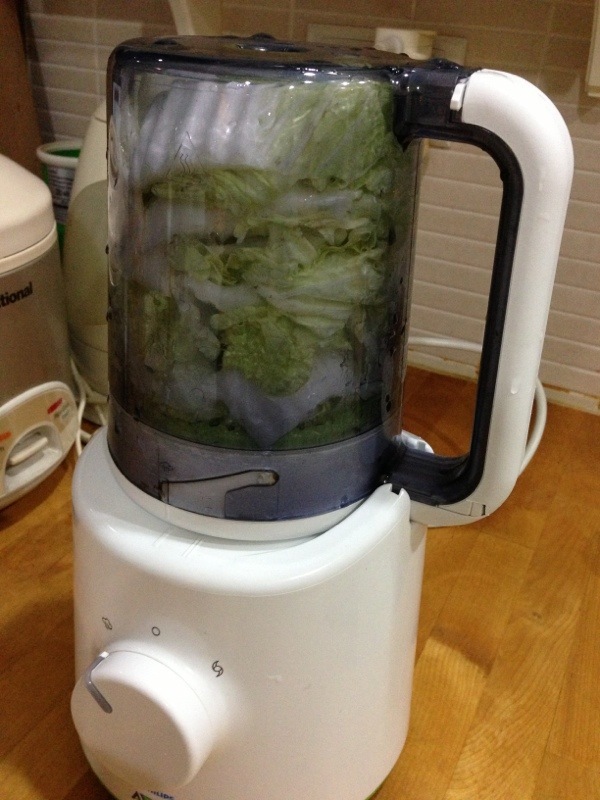 All my cabbages stuffed into the steamer blender up to it’s brim. I hope he will love it tomorrow. 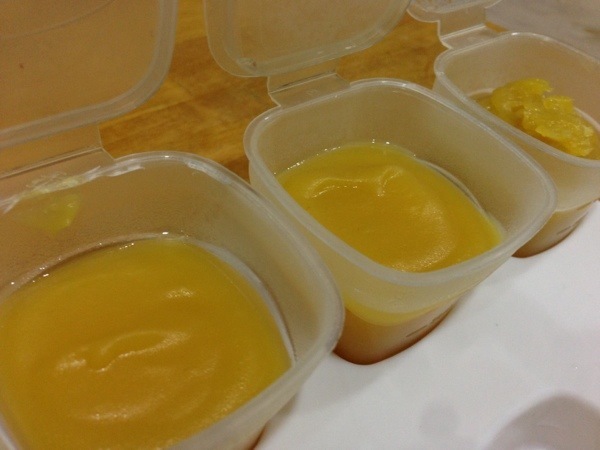 We left home in a hurry and we forgot to bring along the apple purée that Papa had painstakingly prepared for 小小宝贝. We bought a Heinz apple purée off the shelf of cold storage. 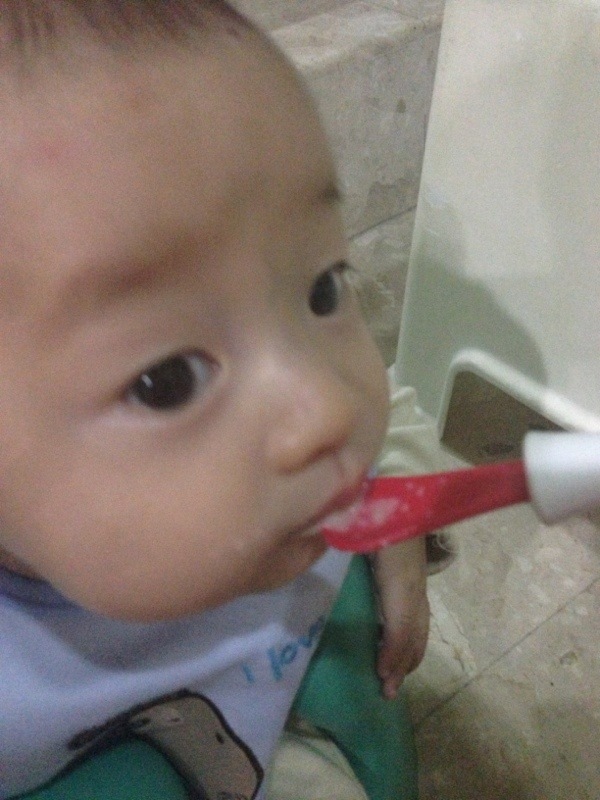 After 2 spoonfuls, 小小宝贝 clamped his little mouth up and refused to eat more. 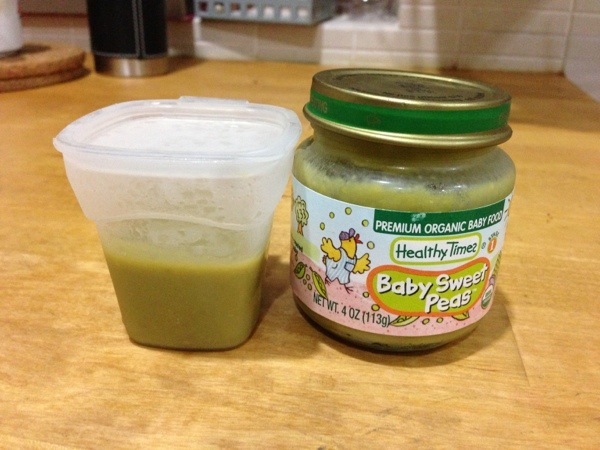 I’ve sampled the store bought purée before. It tasted sweeter, denser in texture and not as fresh. Maybe it’s all in the mind, but the discerning baby could tell the difference. He’s been spoiled by home cooked food. 宝贝 helped us finish up the entire bottle. “Yummy!” She declared. 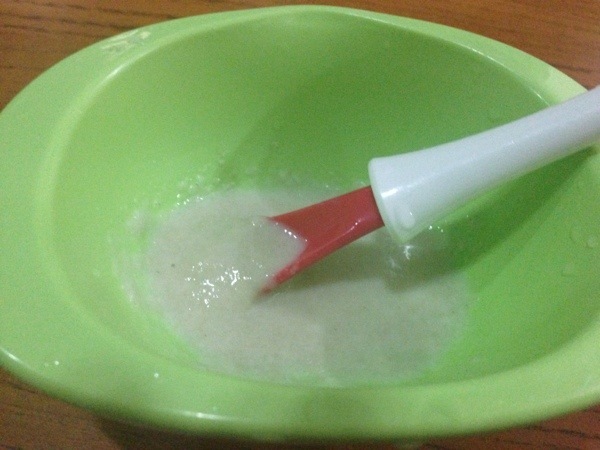 小小宝贝 had the home made one for dinner. He finished the entire cube and whined for more…. Still Brown rice cereal?! Of course! The 3 days food test. 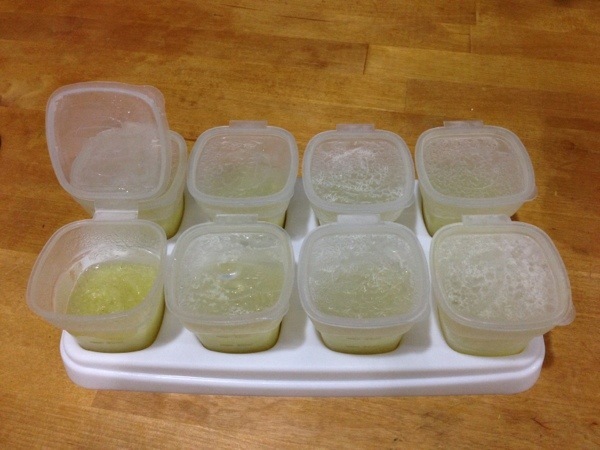 For all new food introduced to the baby, the proper way is to feed him with the same food for 3 consecutive days. In this way, if the baby develops a reaction, I can easily pinpoint the root of it and even trace it back to the previous food. With my first child having a history of food allergies (luckily I did the 3 day food test with her), it pays to be super duper kiasu. The allergies come and go. Initially she was allergic to formula milk and berries. Today I gave him more brown rice cereal as compared to day 1. There he is. 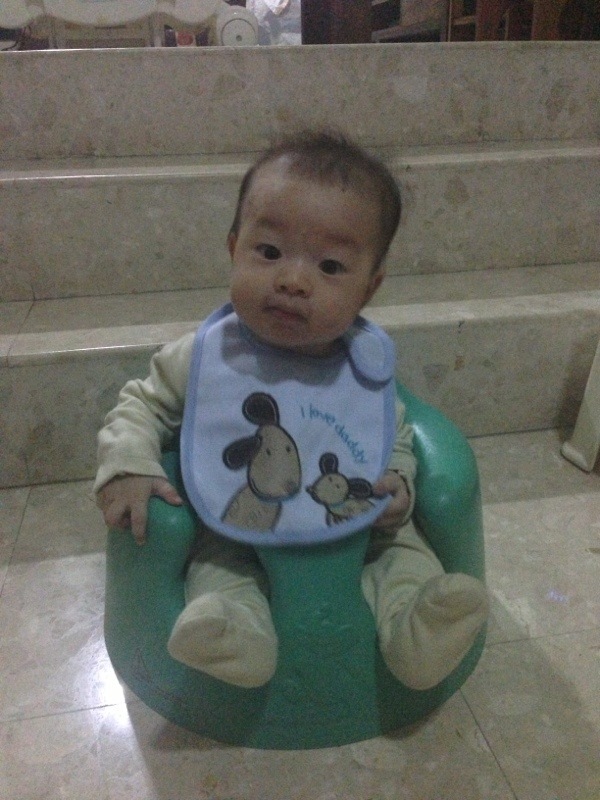 Sitting up, prim and proper, armed with his bib, eagerly waiting for his food. Kind of blurry because…. I took them with my feet…. I prepared one more teaspoon of cereal for him while he threw a tantrum during the short wait. Men are so impatient when it comes to food… Even 5.5 months old ones. Sigh. So typical. He guzzled it down too. But with some hesitation near the end. Looks like 3 teaspoons is the right amount, for now.